Companies like mine that provide customers SQL Server access under a Service Provider License Agreement (SPLA) saw our costs go up almost 10,000% or more in 2013. What used to cost under $20 per user per month for a SQL Enterprise license suddenly jumped to the equivalent of hundreds of dollars per user per month. This required that we immediately downgrade dozens of customers from SQL Enterprise to SQL Standard. Fortunately for me, we weren’t actually taking advantage of any SQL Enterprise-Edition specific datatypes so I didn’t have any structural database issues to deal with. Of course Microsoft does NOT provide a way to gracefully downgrade an existing instance, so my steps had to include a complete un-install of SQL Server Enterprise Database Engine and Reporting Services, and re-install of those components. I did not have Analysis services installed or that would have had to have been uninstalled as well. (The other tools could remain – reducing the time for this process by about an hour). Reporting Services databases and subscriptions – there were a lot of them. For SQL Users, I created a script to re-create those by right-clicking each user and scripting create to a new window. On this particular server, no specific securables were defined. if you have securables defined, then you’ll also need to script those out. SQL Auth users get assigned random passwords by this process. If you know the passwords for those accounts, you’ll need to script them out. I DID NOT TRY to restore the Enterprise Edition Master / Model / MSDB databases that would have allowed me to avoid this step. I just figure that they are incompatible between editions so I didn’t even try. Later, after you’ve restored your databases, you can create a “new” maintenance plan then click the “Import” button from the toolbar to import the file you previously exported. All dimensions of the maintenance plan get re-created this way including the schedules. This is a massive time saver. At this point I backed up the new ReportingServer databases just in case I needed them. 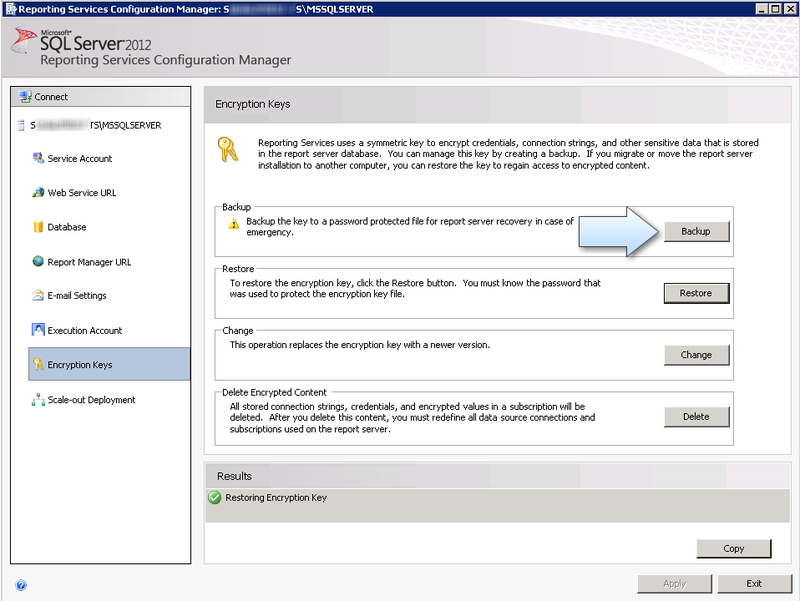 Restore the original Enterprise Edition ReportServer and ReportServerTempDB databases, choosing the option to overwrite the original. Restore the key you exported in the previous step. Try to start the reporting server and open the site. 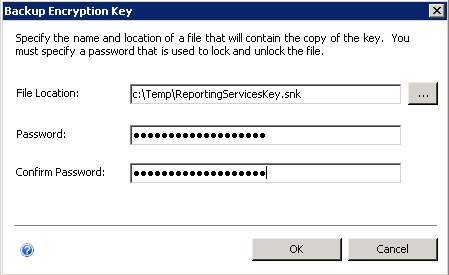 If you get an error about rsReportServerNotActivated then restore the key again – you may have restored the key in the wrong order. When done, refresh your reporting services web site and it should load successfully with everything in tact – Data sources, reports, subscriptions, etc.